When I look at all the hostility and division in our world today, I find myself thinking about—of all things—spark plugs. Here’s a wondrous thing about spark plugs: their whole ability to function depends on the tiny leap of a spark across a tiny but precise gap. Otherwise, the spark doesn’t fire, the plug doesn’t work, and the car doesn’t go. Just one tiny thing can make all the difference. This may also be true of U.S. culture. Whether it works or dies may depend on one tiny change of heart. The word dies might have seemed overly dramatic at one time. Now I’m not so sure. To even sustain a society, let alone improve it, we have to work together, which requires us to talk with and listen to one another—deeply, openheartedly, as a life orientation. Yet in so many corners of our culture, our ability to talk and listen has ground to a halt. We are more rigid, more hostile, and less accommodating of other ideas than I’ve seen in my lifetime. Call it the Great Impasse. It’s not simply that we disagree on things. It’s not even that our disagreements have become uncompromising, though they have. No, it’s that the very sources of our truth—our personal compendia of what we regard as facts—have become mutually exclusive. Any disagreement is met with cries of “fake news.” The idea of dialogue, in which we “think with” each other to get closer to the truth, sounds like science fiction. And, not surprisingly, we get the results we have been seeing, especially over the past two years. Near-total legislative gridlock. The ever-growing use of executive orders (and the dangerous tilt in the balance of powers it creates). A rupturing of long-term loving relationships. That chilling word unfriending. And so very often, violence—from the beatings of dissenters at Trump rallies, to the threats voiced on social media, to the Islamic State’s war against just about everyone. I am suspicious of alarmists, but it’s difficult not to be alarmist in the face of so much that is happening today. It feels dangerous, teetering on catastrophic. How do we reverse course? People who study human interaction—experts in conflict resolution, dialogue and deliberation, interfaith relations, what have you—offer a whole battery of strategies to counteract the decline of civil discourse and respect for other human beings. These strategies are excellent, but many of them depend on getting people to talk with each other in the first place; and that—to return to our spark plug analogy—is a huge leap. These strategies might be more useful if we first took one tiny leap, that one tiny change of heart I mentioned at the beginning—one that could get us to want to talk. The mantra for this change is a tiny admission: I could be wrong. At the core of I could be wrong is a gentle relaxing of our death grip on our convictions, beliefs, and opinions. It’s a confession of a fundamental fact about our humanness: each of us is one person among billions, with one perspective among billions, and even those billions comprise one planet among billions. So we cannot possibly have the full story about anything at all—whether it’s the best approach to healthcare policy or the workings of gravity in a quantum world. If our perspective is that incomplete, why cling to it with a death grip? Once we relax, lessen the tightness of our grip, and are willing to listen, we open naturally to other perspectives. Multiple perspectives are better than one: working together, they may bring us a few steps closer to “the whole truth”—or at least to more complete, more thoughtful ways of addressing the wicked problems that confront our society (and our world) daily, whether we’re thinking of nuclear weapons, or climate change, or inequality and homelessness, or the perils of our shrinking national attention span. A caveat is in order here. I’m talking about relaxing our grip, not letting go. After all, we’ve spent our lifetimes forming our convictions and perspectives. Held lightly but with integrity, they’re an essential part of what we can contribute to the world. But we can relax our death grip without letting go entirely. Ever held a piece of priceless bone china? You know what I mean. There’s just one obstacle in our way: we’re likely to find it’s nearly impossible to make the leap from “I know I’m right” to “I could be wrong.” We have too much invested. The cognitive dissonance can overwhelm us. This is where we people of faith, we Christians among them, have a unique contribution to make. We can relax our grip because we have something (Someone) larger, more central to our lives to hold on to. In fact, not only can we relax our attachment to our personal views in favor of a surpassing attachment to God. We’re called to do that. You can hear the call in Jesus’s first and great commandment: “you shall love the Lord your God with all your heart, and with all your soul, and with all your mind, and with all your strength.” That kind of all-surpassing love doesn’t leave much room for nurturing our uncompromisingness. The trick is making this surpassing attachment the stuff of our deepest selves. Here is where the continuous work of the Spirit—and our practices for allowing the Spirit to work—become vital. In silent prayer and contemplative reading of scripture, in the Daily Office and meditation and everything we do to commune with God, we open our hearts wide to God, and God opens God’s heart wide to us. In the process, we begin to look more like God: people of love, forgiveness, peace, kindness at our very essence—people who bear the “fruit of the Spirit.” Our other concerns gradually fade to a more proper perspective. We no longer want to “bite and devour one another,” as Paul wrote (Galatians 5:14-15). This shift in our attachment is not the whole solution to our fractured public square, any more than a spark plug is all you need for a smooth-running car. A vast array of other pieces need to be in place and doing what they’re designed to do. But the shift—when taken in our heart of hearts in response to God—can furnish the one vital spark to make it all work right again. A spiritual director, a contributor to Huffington Post Religion, and an associate of an Episcopal monastery, John Backman writes and speaks about contemplative spirituality and its surprising relevance for today’s deepest issues. He authored Why Can’t We Talk? 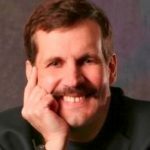 Christian Wisdom on Dialogue as a Habit of the Heart (SkyLight Paths) and his articles have appeared in numerous publications, including Christian Century, Spirituality & Health, and RELEVANT. He has presented at a range of conferences, including the Parliament of the World’s Religions. ViewPoint is a blog in which different writers express their personal perspectives on various topics of current interest. It’s a blog of many voices. 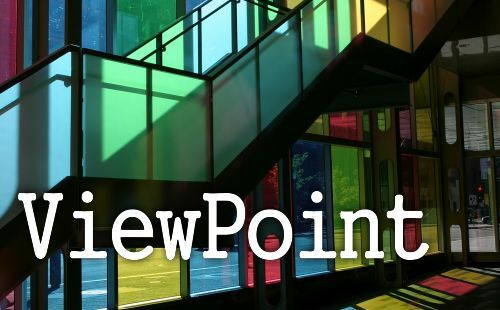 ViewPoint is a forum for discussion. The Latin word forum referred to the ancient Roman public square, where people assembled to address matters of significance. That's what we want ViewPoint to be. I hope you will consider the different ways in which you interact with women and men. And, Bill, I hope you will remember your own meme-worthy words: “Your culture will only ever be as healthy as the senior leader wants it to be,” and always remember our senior leader is Jesus. Domestic Violence Allegations in the Faith-Based Community: How Shall We Respond? God is Not a Guy, and Neither Am I!